Not often I’m confused (well, not all that often) but this one has me a bit baffled. 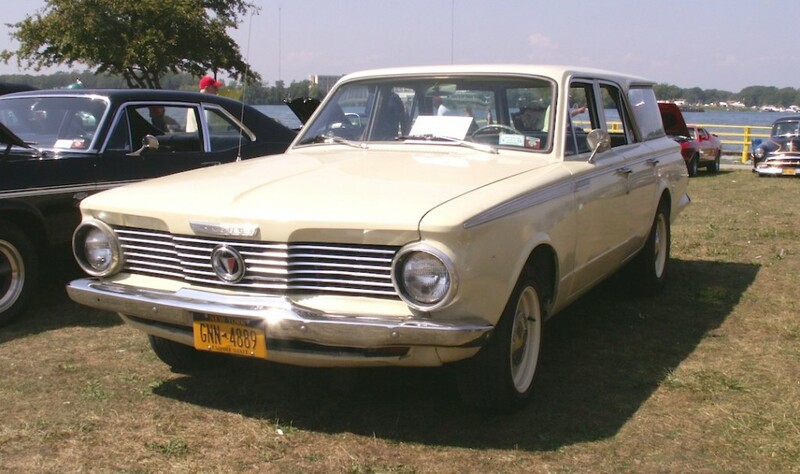 But I’m gonna go out on a limb and say it’s a 1965 Plymouth Valiant 200 wagon, with the front clip from a ’64 — because the grille definitely isn’t the ’65 style, and the taillights are not from a ’64. Only makes sense as the front end would be a simple swap while changing the back would involve major sheet metal work. Anyway, saw this fine example at the Labor Day weekend car show in Tonawanda’s Niawanda Park. Perhaps the Hamburg owner can shed some light on this at his Facebook page posting of the Longroof Society. Jim Corbran, RRofWNY …and check out our Facebook page: Un-American Classic Cars KONICA MINOLTA DIGITAL CAMERA The post RealRides of WNY appeared first on Buffalo Cars.